I'm wanting to see if anybody might happen to know who this number 19 is. I've got another jersey that I know for sure is Steve Young, so I'm pretty sure this one belongs football player, just don't know who. I'll give you $5 for it? Johnny Unitas better hold on to that one! If that's the case it's not going anywhere. Eight players have worn #19, including five receivers, two quarterbacks, and a punter. Statistics: Alworth caught 49 passes for 682 yards and four touchdowns with the Cowboys. Accolades: None with Dallas. He is a member of the Pro Football Hall of Fame. Longevity: Alworth played an important role during the Super Bowl championship season of 1971. However, he was at the end of his career when he played two seasons for Dallas. He retired after the 1972 season. Intangibles: Alworth was one of the greats of the AFL. Dallas acquired him to replace Lance Rentzel (see below), and Alworth served the role well. However, he was nowhere near as productive as he was with the Chargers. Statistics: As a kick returner, Austin has averaged 25.8 per return. He has only caught five passes, though. Longevity: Dallas signed Austin as a free agent in 2006. He has played two seasons for the Cowboys. Intangibles: Austin’s big moment came during the 2006 playoffs (while he wore the #14) when he returned a kickoff for a touchdown against the Seahawks. He did not have a bad season in 2007, but he is not a huge weapon. Statistics: Jett averaged 41.9 yards per kick during a four-year career with Dallas. Longevity: Jett was yet another specialist that the Cowboys would not pay. He left for Detroit after the 1996 season. Intangibles: Jett was a dependable kicker during a very successful stretch in team history. Statistics: Johnson caught 141 passes for 1820 yards and 12 touchdowns with the Cowboys. Longevity: Johnson was a former Parcells player who rejoined his coach in Dallas in 2004. He played here for two seasons before the Cowboys signed Terrell Owens and released Johnson. Intangibles: Johnson generally behaved himself with the Cowboys and was a good target for quarterbacks Vinny Testaverde and Drew Bledsoe. Owens has outperformed Johnson, though, so the Cowboys’ decision to cut Johnson in favor of Owens has not been a bad one. Statistics: Longley threw for 311 yards and 3 TDs as a member of the Cowboys. Longevity: Longley lasted two seasons with Dallas. He was released after taking a cheap shot at Roger Staubach. Intangibles:Longley is famous for his Thanksgiving Day heroics against the Redskins in 1974, when he threw two touchdown passes to lead the Cowboys to a win. He is otherwise remembered for punching Staubach. Statistics: Rector returned four kickoffs for the Cowboys in 2006. Longevity: Rector saw action in one regular season game with Dallas, the opening day loss to Jacksonville in 2006. Intangibles: Rector looked like a playmaking receiver in training camp in 2006, but he had little opportunity to show it during the regular season. He spent 2007 with Arizona. Statistics: Rentzel caught 183 passes for 3521 yards and 31 touchdowns with the Cowboys. Accolades: He was a two-time all-pro. Longevity: Rentzel lasted four seasons with the Cowboys. He was released following his arrest for exposing himself to a child. Intangibles: Rentzel was the third player in team history to gain more than 1000 yards in a season (Frank Clarke and Bob Hayes preceded him). According to the cover of his book When All the Laughter Died in Sorrow, “He was rich, talented, handsome – a star receiver for the Dallas Cowboys married to a beautiful movie star. Then one November morning the world came tumbling down . . . .” He later played for the L.A. Rams. Statistics: Sweeney threw for 605 yards and 7 TDs in four starts with the Cowboys, including two replacement games in 1987. Longevity: Sweeney started two of the three replacement games in 1987 and played for a total of two seasons with Dallas. Intangibles:Sweeney was the Golden Boy among the replacement players. He was nowhere near as effective when the Cowboys gave him a shot to start in 1988. Hey I was first in line! My grandfather and and step-grandmother had them and asked my dad if he wanted them but he said "no." because he didn't know who # 19 was. I just called my dad and told him who this belongs to and he wants me to give it to him. LOL I said "no." I appreciate everyone chiming in and letting me know. 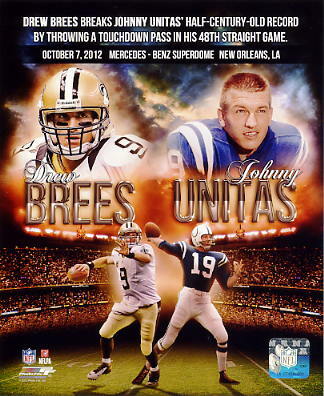 My dad's really excited about this because Johnny Unitas was one of his favorites. I'm still not giving it to him though. Johnny Unitas. Ol flat top! It's got one of those holographic authentication stickers, so I'm sure it's legitimate. It's in such good shape you'd think he just signed it. Its been sitting in their closest in a bag for God knows how long though. uncertified it isn't worth $10, but you can get someone to certify the signature and it will be worth some good money. Great, don't think he will take my $10 offer now. Thanks a lot! That's actually pretty awesome to know about the possible value though. That's awesome man! Great jersey! Something similar happened to me when i was a kid with a box of baseball cards. I was an avid collector in jr high and some in hs. Got a box of miscellaneous cards from a neighbor, mostly typical players and such until i saw the one of Willy Mays that was signed! Took it to a local card shop and the owner said you might wanna put that one in a heavy duty sleeve! Still got it! Thats a heck of a find man...pretty cool stuff. Just Curious, how did you come across it? Hopefully the autograph is legit because they didn't put the holographic stickers on jerseys when he played. My father played linebacker for them when Johnny was there.